On Tuesday, April 24th we traveled about 3½ hours to the temple of Pancha Tattva in Ljubljana, Slovenia named New Yoga Pitha Dhama, Slovenia. We were certain Lord Nityananda would be ecstatic to come to the (new) yoga pitha of Mahaprabhu and would shower the devotees with His mercy and blessings. As it turned out, Lord Nityananda poured His blessings on all the devotees incessantly. After greeting the Padukas and Sitari with kirtan and abhisheka, and speeches by His Holiness Chandramauli Swami, Jananivas and Braja Vilas prabhus, once again the ecstasy began to flow. Devotees from Croatia were also present and a total of eighty devotees started making their pledges. Eleven pledges were made for Silver Srivas Coins (9,000 Euros/11,000 USD) along with many other large and small pledges. The astounding fact is that before coming to the program many devotees did not expect to give anything significant, and some nothing at all. Yet, due to Lord Nityananda Prabhu’s influence their hearts were changed. 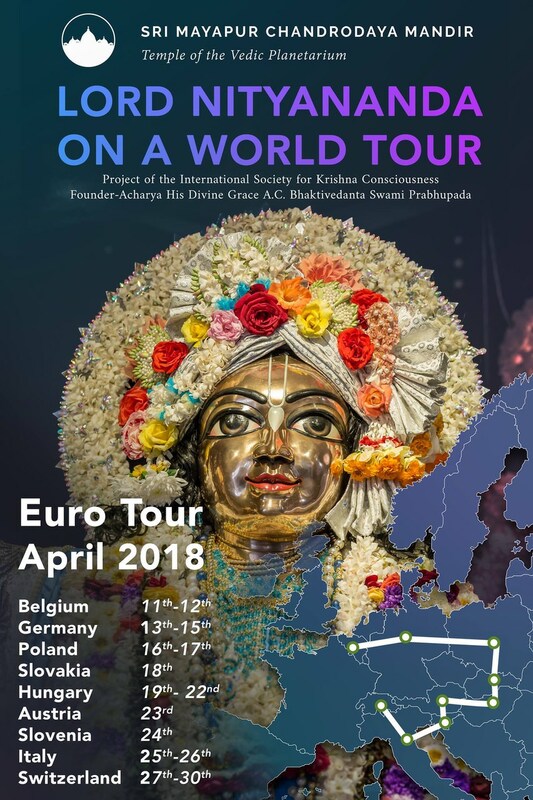 The sacrifice of these devotees, like at all the other European temples, is very exemplary and significant, and a sign that our Lord Nitai is anxious to complete the temple. 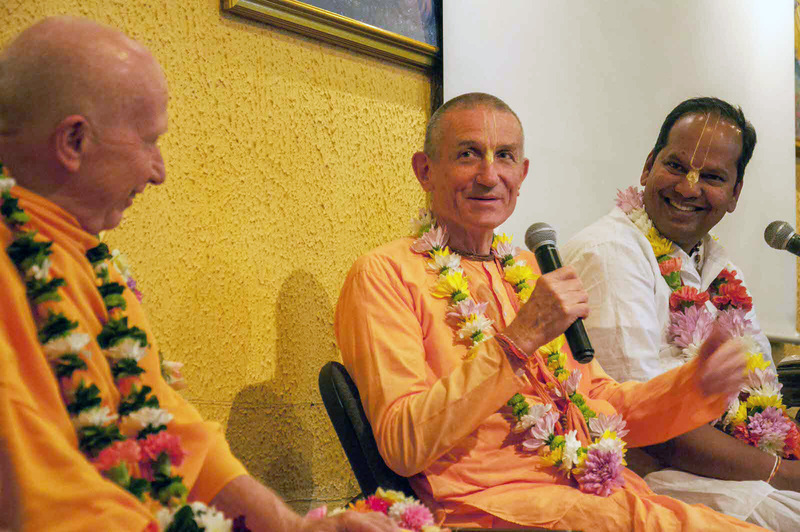 We wish to thank the co-GBCs of Slovenia, Prahladananda Swami and Bir Krishna Swami and temple president Ananta das for their cooperation and support, and Urukrama das for coordinating the tour visit. All glories to Lord Nityananda! All glories to Lord Nrsimha! All glories to the devotees of the Lord!